The room was packed, occupied by some of the most inspiring Christian leaders I’ve met from across the continent of Africa. I began my afternoon presentation in Ethiopia with a movie trailer for a new documentary, Poverty, Inc., that seeks to reveal some of the pitfalls of the global aid system. At one point in the movie trailer, an entrepreneur in Haiti states, “No one wants to be a beggar for life.” The room immediately erupted in applause! I knew at that moment this documentary would be important in the dialogue of how we partner with the church for children in poverty. 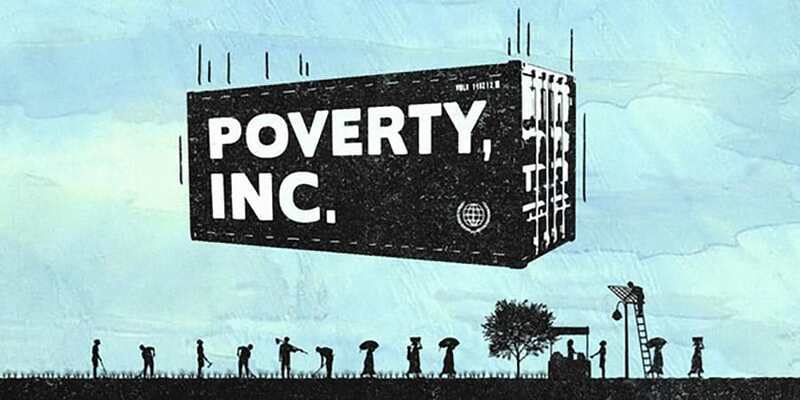 Poverty, Inc. is a project by PovertyCure and Acton Institute, and was directed and produced by Michael Matheson Miller. In early 2015, Compassion invited Miller and his colleagues Jonathan Moody, Managing Director of PovertyCure, and Simon Scionka, director of photography for Poverty, Inc., to provide an early screening of the movie and to engage Compassion in a conversation about what they’ve learned and what it means for Compassion. The film provides a critique of the system of aid that began as a response to the global needs following World War II, and shows how those same financial solutions are often misapplied to a wide variety of holistic problems facing the evolving global economy. The documentary cites the impact of food tariffs and subsidies between USA-based rice producers and Haiti that have undermined local food production and ruined aspects of the Haitian economy. Subsidized rice from the USA has become so cheap that it now dominates the diet and has supplanted other indigenous foods. Other examples of aid that can do more harm than good include: mass clothing donations to Africa, one-for-one giving models that are not locally sourced, and solar power hardware donations. 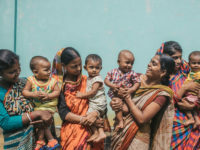 Poverty, Inc. labels this system of aid “the global poverty industry,” and it distributed over $134 billion (USD) in official development assistance in 2013 alone. The main players in this industry, according to the documentary, include the World Trade Organization, the International Monetary Fund, and the World Bank. From these organizations, foreign aid flows directly between countries and is also routed through a complex web of grants to NGOs, consultants, and multi-national corporations. So what’s the film’s answer to this powerful system that continues to promote solutions that seem to be keeping people in poverty instead of releasing them from it? 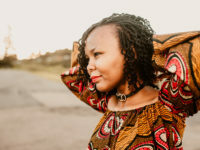 The solution it promotes is a local market-driven approach that honors the God-given potential in each of us to be agents of human flourishing for ourselves, our families, and our communities. Subsidiarity is an organizing principle that states social problems should be solved at the most immediate local levels possible without interference from centralized authority. This belief undergirds many of the statements that Christians make about the role of the church in solving local problems as opposed to the role of the state. How does Compassion measure up to these ideas? What can Compassion learn from this documentary? First off, I have viewed this documentary multiple times and have engaged with other Acton Institute content. Every time I do, I’m really glad to be part of Compassion. Compassion has practiced effective local child development approaches for a long time. 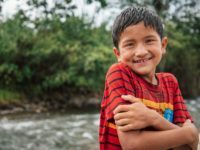 Recent academic research like the study by Dr. Bruce Wydick from the University of San Francisco proves the impact of Compassion’s holistic child development programs. Compassion’s effectiveness is based on a highly relational development model that connects people, instead of governments. It is focused on releasing the potential of children so they can contribute to local solutions, economies, and families. And Compassion doesn’t receive a single dollar of government aid. Secondly, after watching Poverty Inc. I’m reminded that we still have a lot to learn. The documentary reveals a system of aid that often undermines the very people it’s intended to help. At Compassion, we want to continually learn how to better impact children in poverty in partnership with local churches. Russ is the former Director of Global Advocacy Strategy at Compassion. This statement speaks volume and I think this is a challenge for all of us who are development agents to find a way of taking time to learn through active listening may be by conducting a research involving those in need. Their voices should speak to our strategies. Sometime we think we know the answers for their questions for life. Thank you Russ it is very valuable to get your perspective on the content of this documentary. I hope to see it soon so I can get the information and perspective the producers want to show. At the same time it will be a great opportunity to measure the way Compassion strategically faces poverty around the world in the name of the Lord. Randall, thanks for your note. Check Mark’s link below to see upcoming screenings and to arrange one yourself. Peace to you and your family.